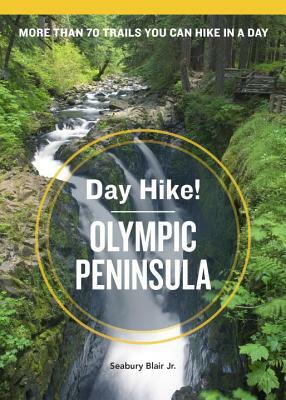 This guidebook to hiking the best trails in the Olympic Peninsula features 73 unforgettable day hikes in the Olympic Peninsula, from Hoodsport to Hurricane Ridge to the Pacific coast. All hikes in this book are accessible to residents in the metropolitan Seattle area, making it the perfect companion for anyone wanting to spend their days in the mountains and their nights at home. Each trail is rated, and ranges from easy to moderate to extreme, giving newbie hikers or veterans with hundreds of miles on their boots the choices they want. The relaunch of this popular series now includes full-color photographs of every hike in addition to topographical maps, trail descriptions, and more. SEABURY BLAIR JR. spent many years as the outdoor columnist for The Bremerton Sun, where one of his most popular features was the “Hike o’ the Month.” He is an avid backcountry skier and hiker, and lives in Deer Park, WA. He is also the author of The Creaky Knees Guide Washington, 2nd Edition: The 100 Best Easy Hikes, Wild Roads Washington: 80 Scenic Drives to Camping, Hiking Trails, and Adventures, Day Hike Columbia Gorge, 2nd Edition: The Best Trails You Can Hike in a Day (Day Hike! ), and more.